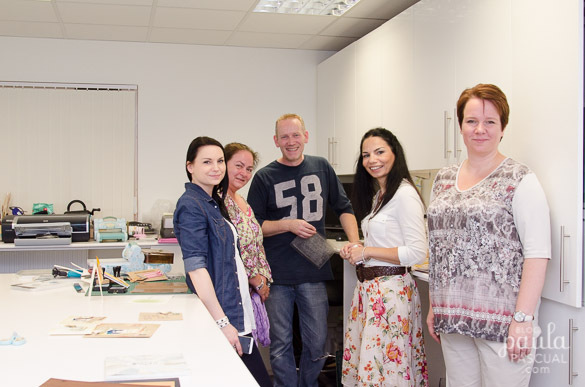 As part of the Sizzix European Blogger team, I got invited among other bloggers to go to Ellison - Sizzix HQ as I call it - in Wrexham. 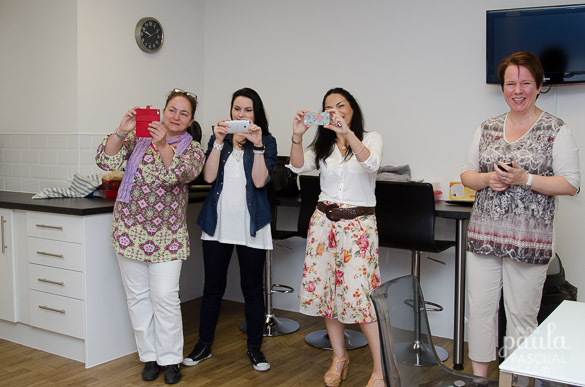 The bloggers were: Bente Fagerberg from Sweden (originally Norway), Elena Roche from Spain, myself (representing the UK! ), Karola Witczak from Poland and Elina Stromberg from Finland. 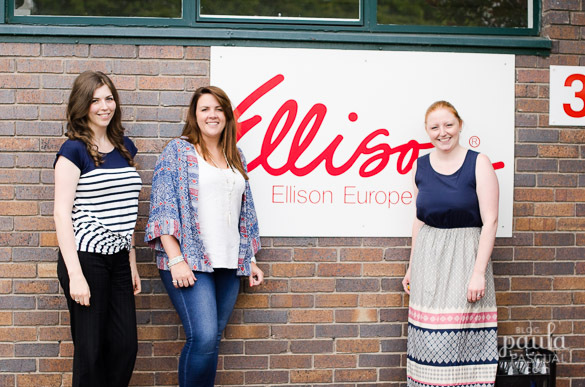 We were hosted by the marketing team, Alison, Fiona and Kayleigh. Of course, I have known them for years as Fiona used to be my boss while I worked full time at Sizzix. It was lovely to see them again and spent some time with all of them. 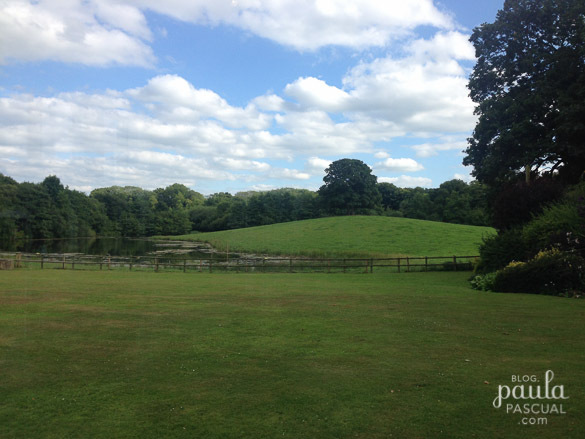 The place is lovely. It has change a bit since I saw it last. 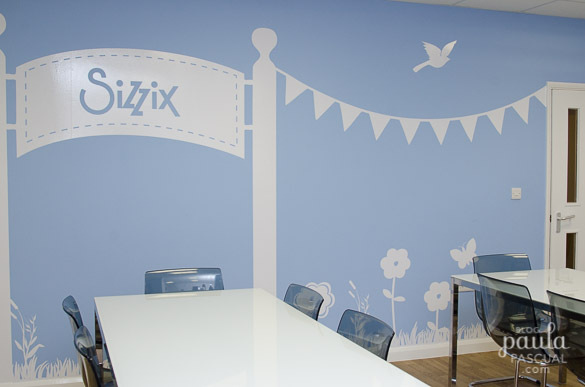 I loved the cantine with big Sizzix banners and decorations. No matter how many times, I always get goosebumps when I see my work published or, in this case, big print outs. (My projects are the 2nd and 4th from the left). We had a fun time going into the craft room, a place where Pete creates all his projects. Talent! Of course, we did a lot of this! all taking photos of the same thing. Wales is beautiful. I just love the scenery. 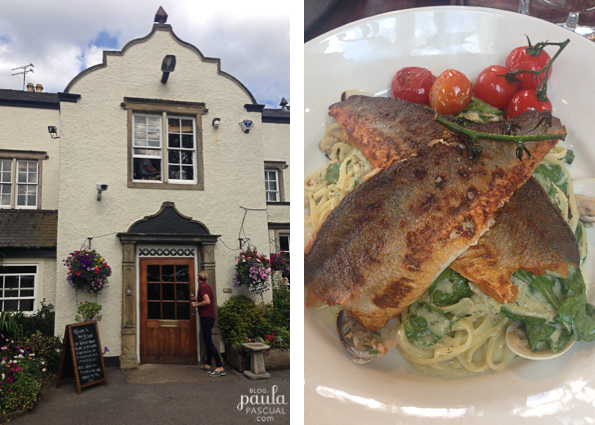 We had dinner in a countryside pub. The food was nice, the company perfect! 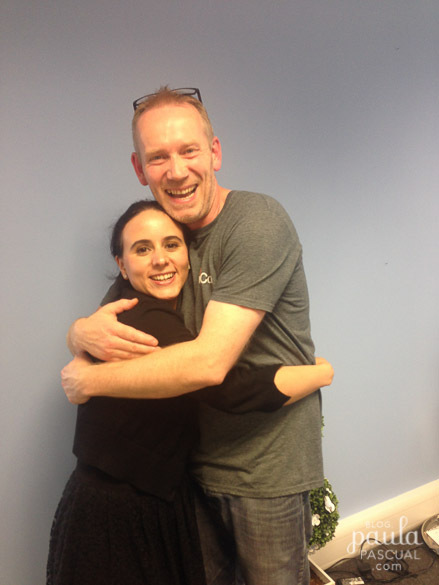 And a visit to Sizzix HQ would not be complete with a photo with my Christmas Twin, Pete Hughes. He is even nicer person than he is talented, and he has got talent to fill a few football stadiums. Oh how fun Paula!! Makes me want to go back again next week!! :-) Tfs!! What Paula neglects to mention is that I learnt far more from working with her than she ever did from me!